Want to treat your dad to a thrilling adventure this Father's Day? How about showing him what the city looks like from the top of the tallest building in Africa, treating him to a beer and pub lunch with a view over Newtown, or taking him to the largest land-transport museum in the country? 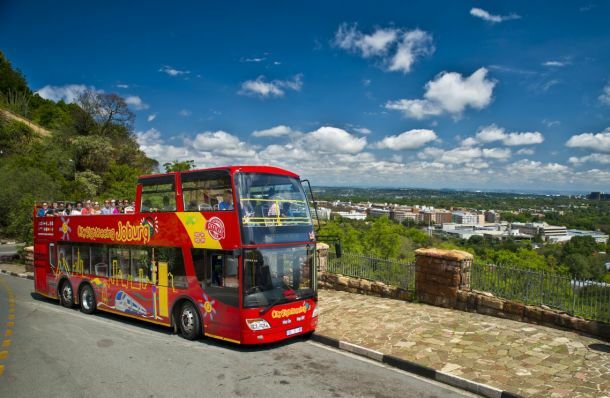 You can do all of this in one day when hopping on City Sightseeing Joburg's red bus. With our 3-for-1 Kids' Special that's currently running, you and a sibling (provided you're both younger than 18) can hop on the bus for free when buying your dad a ticket. Does your dad find military history interesting? 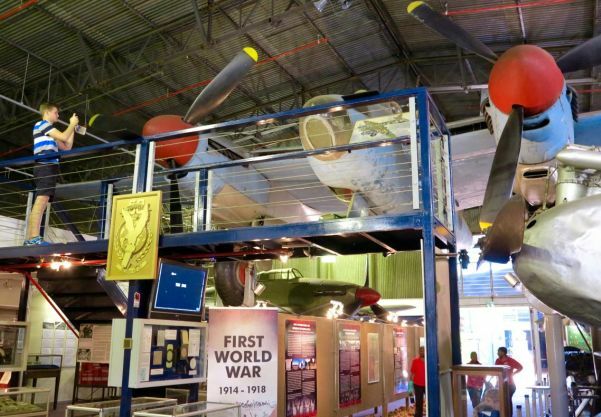 This museum (stop 4) is the only one of its kind in South Africa, displaying the history of military conflict in which South Africans have played a part, as well as technological development in warfare. Displays cover the Anglo-Zulu War, the South African War (also known as the Anglo-Boer War), South Africa’s role in the First and Second World Wars, and resistance movements such as Umkhonto weSizwe. You'll get to see some of the rarest military equipment from all over the world, including a German Messerschmitt Me 262 two-seater night fighter used in the Second World War, and the Molch one-man submarine. With its 50 storeys, the Carlton Centre (stop 11) is the tallest building in Africa. 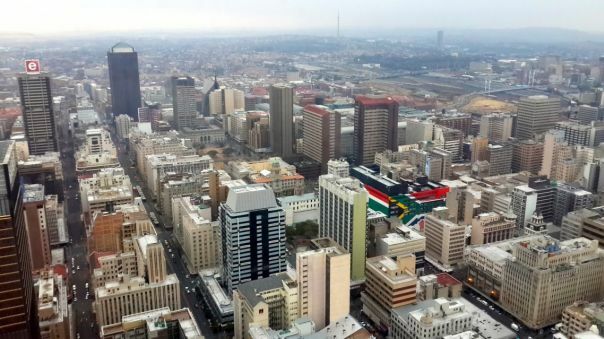 Looking north, you’ll see the skylines of Braamfontein and Hillbrow, while the remains of the mining belt are still visible when you look in a southerly direction. You’ll spot the FNB Stadium (Soccer City), where the opening and closing matches of the 2010 FIFA World Cup were held, and on a clear day you can see as far as OR Tambo International Airport, which is about 30km away. Our City Sightseeing guide will meet you at the bus stop and take you to the top floor. When looking at the James Hall Museum of Transport (stop 12) from the outside, one can't imagine the treasure trove of vehicles and displays, covering more than 100 years of land transport in all its forms, hidden behind the walls. 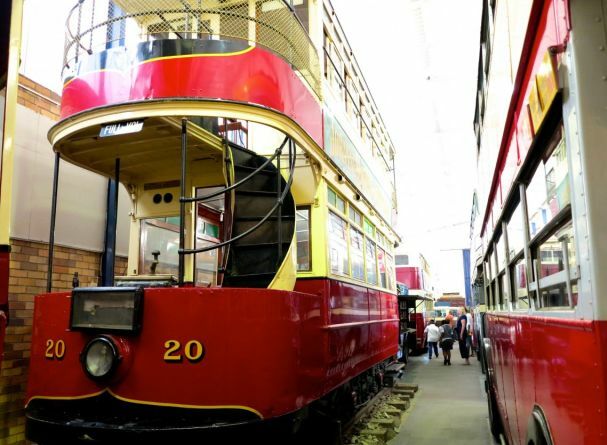 It is the largest museum of land transport in South Africa, and the perfect place to see how your grandparents and great-grandparents travelled around the city – and the country. Expect to see a variety of vehicles, including animal-drawn vehicles dating back as far as 1870, bicycles, motorcycles, buses, trams, fire engines and motor cars. 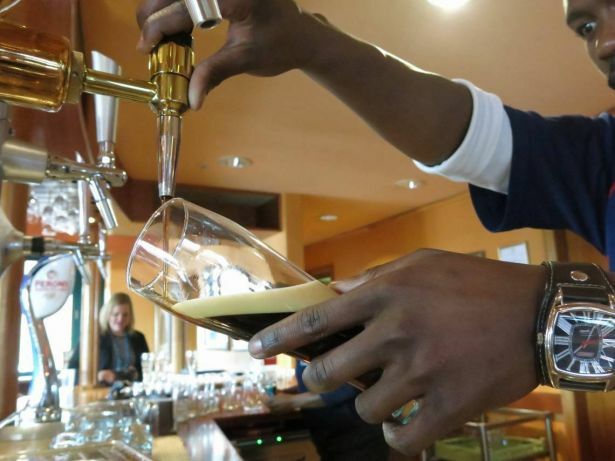 The SAB World of Beer is the perfect stop if your dad loves his beer (and a good pub lunch). Hop off at stop 15 where your dad can go on a beer tour or tasting (children under 18 can go on the tour but they won't be served any alcoholic drinks) or treat him to a hearty pub lunch in the Tap Room restaurant. Pop into the merchandise store, Tankards & Togs, on your way out if you'd like to buy your dad an awesome gift. The shop has a variety of beer-branded glasses, sporting gear, caps, cooler boxes, bar mats and much more in stock. Remember to make use of our 3-for-1 Kids' Special to make the most of Father's Day. Buy tickets here.